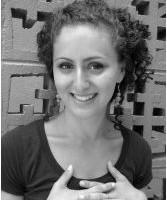 Liza Rose Cirolia is a researcher at the African Centre for Cities. Her work is largely focused on the social, political, technical and institutional dimensions of urban infrastructure, decentralization, and human settlements in African cities. Liza Rose has worked extensively on housing and land in South African cities. She has conducted in-depth research and policy development on the Emergency Housing Programme and temporary relocation areas, the Finance Linked Individual Subsidy Programme and the Gap Market, township residential market development, and the upgrading of informal settlements. In 2018, working with the Western Cape government, she co-wrote a guiding document for the Western Cape government entitled, ‘The Living Cape: A Human Settlements Framework’. ACC’s work on urban infrastructure configurations in Addis Ababa. This research is part of a GCRF project with LSE-Cities. The focus on this research is on the multi-scalar interfaces between Addis Ababa’s state-driven housing programme and new modes of sanitation treatment. A Thought Leadership Programme on Infrastructure in African Cities. This programme brings together private sector actors active in infrastructure delivery on the continent to discuss key trends in Africa’s urban development and the implications for their work. Key themes include: new cities, disruptive technology, climate change, and decentralization. A three year project on human settlements and public finance in Cape Town as part of the PEAK-Urban GCRF funded project. This project brings together researchers in Cape Town, Peking, Medellin, Oxford, and Bangalore. Liza’s work looks at the driving logics behind city decision-making processes in Cape Town and how these city-wide logics interface with everyday experiences of the city. Ongoing work on fiscal decentralization and land-based finance in African cities. This includes work on various cities in South Africa, Senegal, Kenya, and Ethiopia. Part of this work includes her recently completed PhD, entitled: ‘Accounting for the C/city: Analyzing Kisumu’s Fiscal Configurations’. Liza Rose received her PhD from University of Cape Town. She received a Master in City and Regional Planning from the University of Cape Town. She received her undergraduate degree in Development Studies from the University of California, Berkeley. Mizes, C. and Cirolia, L.R. (2019). Contournements. Fiscalité et exceptions informelles dans les villes de M’Bour et de Kisumu. Politique Africaine. Berrisford, S., Cirolia. L.R., and Palmer, I. (2018). Land Based Financing in Sub-Saharan Cities. Environment and Urbanization. Cirolia, L.R. and Scheba, S. (2018). Towards a multi-scalar reading of informality in Delft South Africa: Weaving the ‘everyday’ with wider structural tracings. Urban Studies. Amin, A. and Cirolia, L. R. (2018). Politics/Matter: Governing Cape Town’s Informal Settlements. Urban Studies. Cirolia, L.R. and Smit, W. (2017). Fractured Approaches to Urban Transformation: Analysing Parallel Perspectives in South Africa. Transformation. Cirolia, L.R. (2017) Overcoming the disjunctures: competing discourses on informal settlements in South Africa. International Development Planning Review. Cirolia, L. R. and Berrisford, S. (2017). ‘Negotiated Planning’: Diverse Trajectories of Implementation in Nairobi, Addis Ababa, and Harare. Habitat International. Croese, S., Cirolia, L. R., and Graham, N. (2016). Towards Habitat III: Confronting the Disjuncture between Global Policy and Local Practice on Africa’s ‘challenge of slums’. Habitat International. Cirolia, L. R. (2015). Reframing the ‘Gap Market’: Lessons and Implications from Cape Town’s Gap Market Housing Initiative. Journal of Housing and the Built Environment. McGaffin, R., Cirolia, L. R., and Massyn, M. (2015). Overcoming the Challenge of Vertical Consolidation in South Africa’s Low-Income Settlements: a Case Study of Du Noon. Urban Forum. Cirolia, L. R. (2014). South Africa’s Emergency Housing Programme: A Prism of Urban Contest. Development Southern Africa. Cirolia, L. R. (2014). (W)Escaping the Challenges of the City: A Critique of Cape Town’s Proposed Satellite Town. Urban Forum. Cirolia, L. R., Görgens, T., van Donk, M., Smit, W., and Drimie, S. (Eds.) (2016). Pursuing a Partnership Based Approach to Incremental Informal Settlement Upgrading in South Africa. Juta. Sassman, N and Cirolia, L.R. (2018 forthcoming) Overcoming urban sprawl: Exploring the potential and challenges of implementing social housing in Cape Town (in print). Cirolia, L. R. (2017). Negotiating Cities: Nairobi and Cape Town. In J. Rokem and C. Boano (Eds.) Urban Geopolitics: Rethinking Planning in Contested Cities. Routledge. Pieterse, E. and Cirolia, L. R. (2016). Shaping the urban horizon in South Africa: reflections on the Integrated Urban Development Framework process. In: Pursuing a Partnership Based Approach to Incremental Informal Settlement Upgrading in South Africa. Juta. Cirolia, L. R., Görgens, T., van Donk, M., Smit, W., and Drimie, S. (2016). Introduction. In: Pursuing a Partnership Based Approach to Incremental Informal Settlement Upgrading in South Africa. Juta. Cirolia, L. R., Smit, W., and Duminy, J. (2015). Grappling with Housing Issues at the City Scale: Mobilizing the Right to the City in South Africa. In P. Herrle, A. Ley, and J. Fokdal (Eds. ), From Local Action to Global Networks: Housing the Urban Poor. Ashgate. Cirolia, L. R. (2012). Recasting the Development Agenda for Informal Land and Housing Markets in Nairobi: a Critical Examination of Actors, Claims, and Urban Governance in Kibera. In L. Herzer (Ed.) Changing Cities: Climate, Youth and Land Markets in Urban Areas. Woodrow Wilson Center Publication. Cirolia, L. R. and Rode, P. (2019) Urban infrastructure and development. London School of Economics. https://lsecities.net/wp-content/uploads/2019/01/GII-Working-Paper-1-Urban-infrastructure-development.pdf. Cirolia, L. R. and Mizes, C. (2019) Property Tax in African Secondary Cities: Insights from the Cases of Kisumu (Kenya) and M’Bour (Senegal). International Centre of Tax and Development. https://www.ictd.ac/publication/property-tax-african-secondary-cities-kenya-senegal/. Huchzermeyer, M. and Cirolia, L. R. (2016). When property rights and occupational rights clash. The Mercury. Cirolia, L. R. (2014). The architect can’t save the slum: reflections on design fix housing solutions. SLUMLab. Cirolia, L. R. (2012). The logistics corps: Colombo’s urban militarization. CityScapes – Rethinking Urban Things.